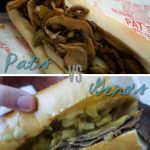 Let’s talk about comfort food. A piping hot bowl of broth, flavored with fragrant sesame oil and tender loving care. Baby bok choy greens. A satisfied tummy. And wontons…lots of wontons. Literally translated, ‘wonton’ means ‘swallowing a cloud’. 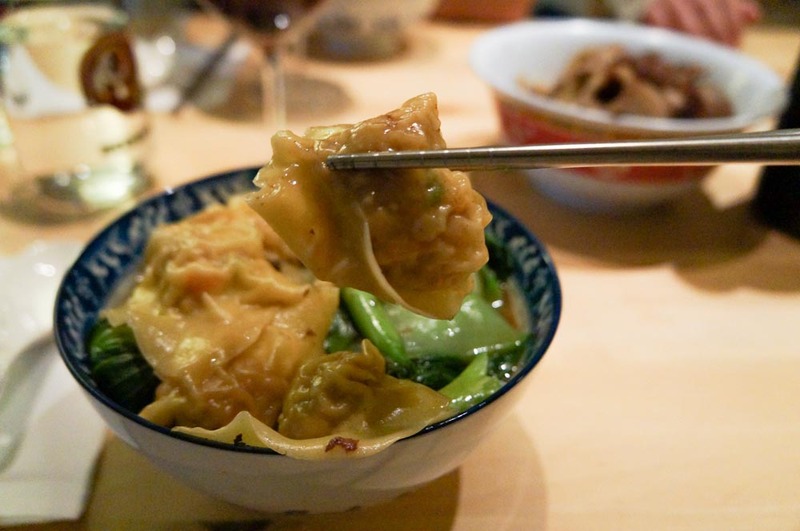 While various Chinese regional cuisines have their separate interpretations of wontons, I’m going to talk about Cantonese wontons today- because that’s what I crave when comfort food-itis pops up. 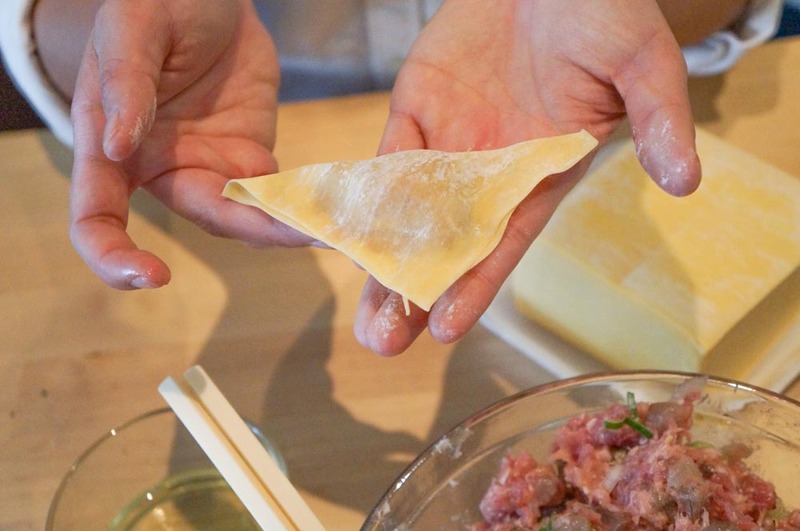 Growing up, I recall skipping around the kitchen, helping (okay, pestering) my mother and grandmother as they folded a batch of wontons. You don’t make a single serving of wontons. Instead, you make as many as you have wrappers for (a typical pack contains around 75) and freeze the remainder. 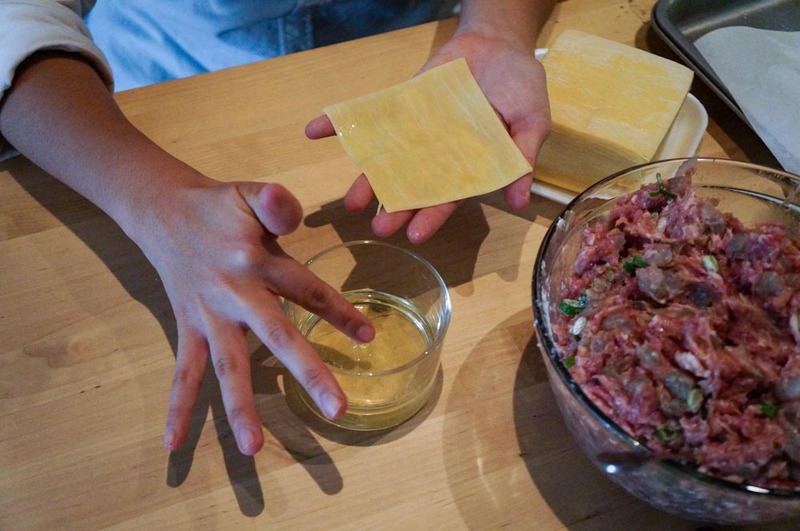 This makes wontons an excellent now and later dish. 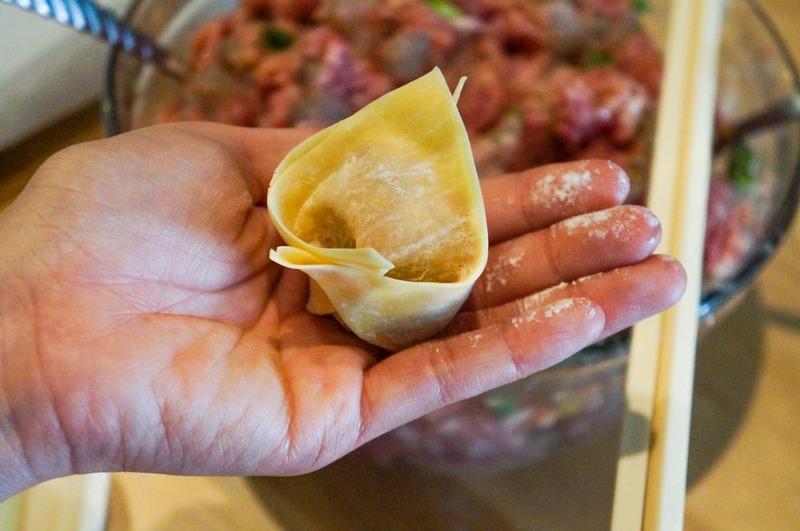 Folding wontons requires an itty-bitty learning curve, but goes quickly once you get the hang of it. If you’re with a group of friends or have willing minions, the wontons are folded even quicker. 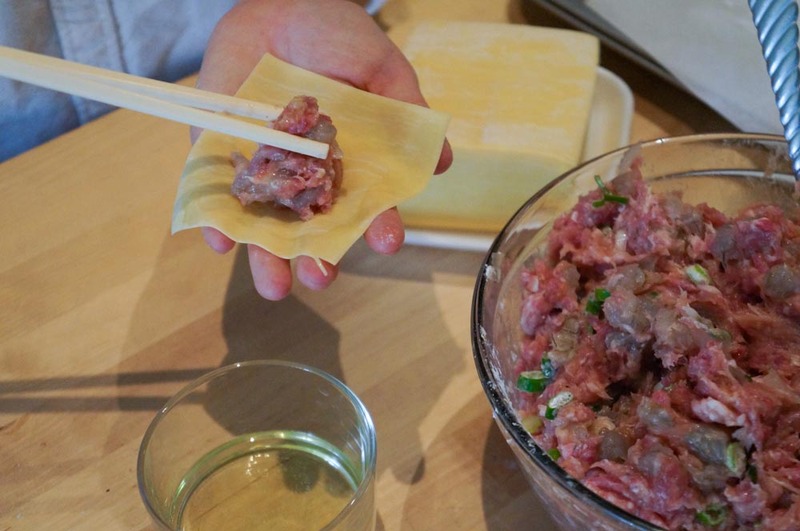 Wonton folding party, anyone? *If you’re low on time, you can simply substitute the above with canned chicken broth. 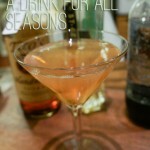 It won’t taste the same, but is passable in a pinch. In a large pot, bring 2 quarts of water to boil and blanch pork bones until no longer red. Empty water and add chicken stock, simmer with bones and ginger for about an hour (the longer you simmer, the more flavorful the broth will become). Add soy sauce in the last 20 minutes. Cover several plates or trays with wax paper; lightly flour. 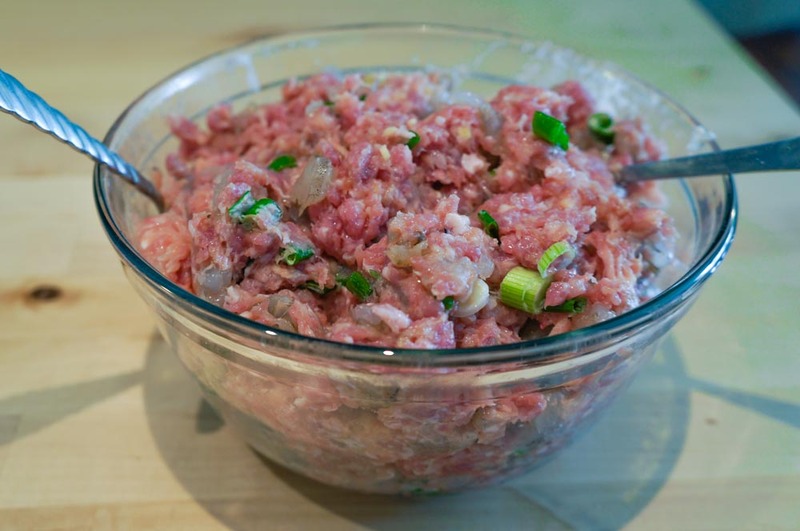 In a large mixing bowl, mix the pork, chicken, shrimp, green onion. 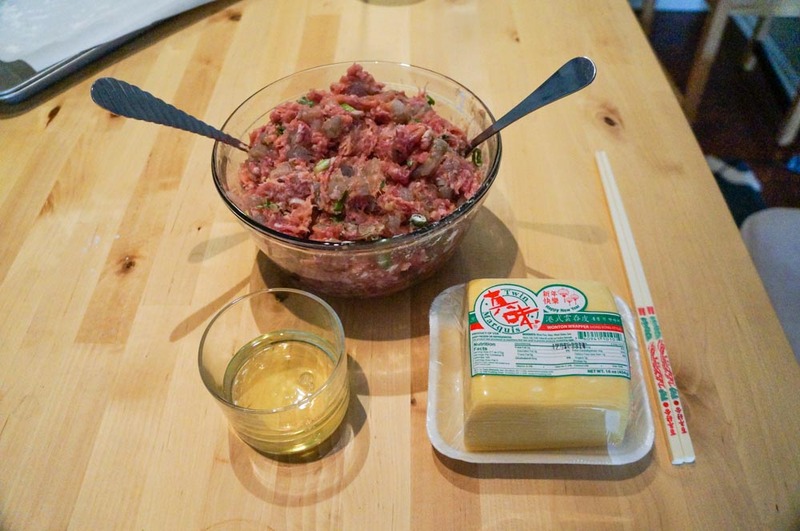 Add soy sauce, rice wine, sesame oil, salt, and pepper, mix thoroughly. Hold wonton wrapper in the palm of your left hand. 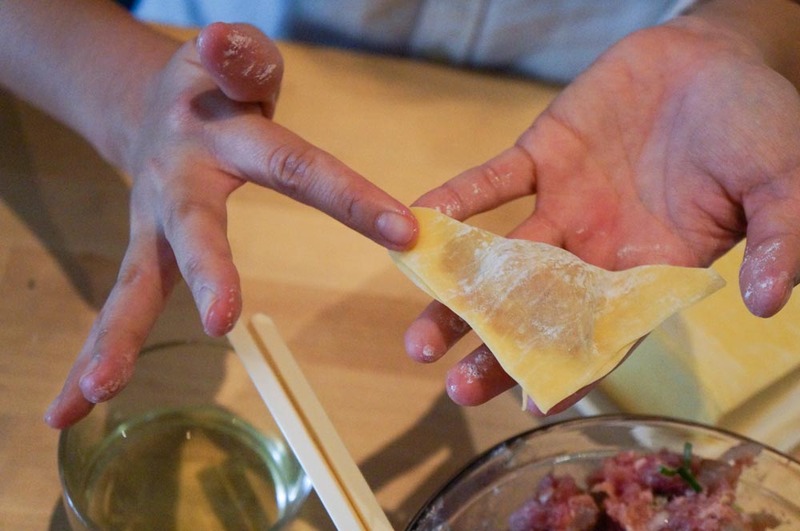 Dip your index finger into the egg white and spread along 2 perpendicular edges of the wonton wrapper- those edges should be slightly wet and tacky, but not so wet that the wrapper won’t stick to itself. Add a spoonful (1 small tablespoon) of the filling to the center of the wrapper. Fold edges to form a triangle. Dip your index finger into the egg white again; brush one long corner of the triangle with egg white. 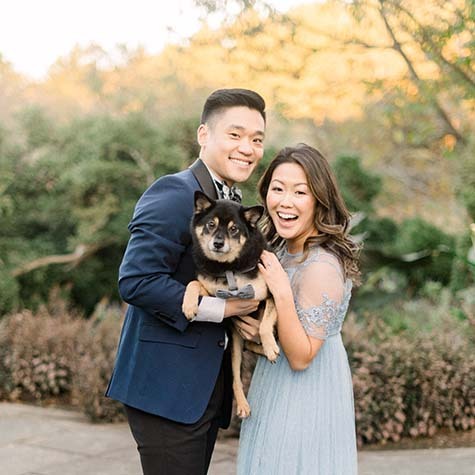 Bring the long ends of the wontons together to meet; seal. 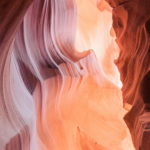 See photos above for step-by-step. 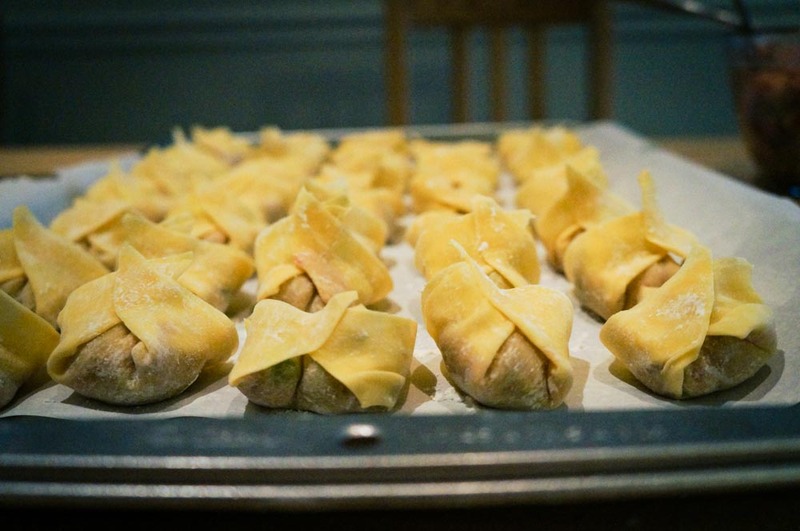 Place your finished wonton on the tray and repeat. To keep the wrappers and wontons from drying out while you wrap, wet a damp paper towel and cover. After you use up all the wrappers, freeze the wontons that you will not use on the tray for 1-2 hours, then transfer to a ziploc bag and store in freezer for future nomnoms. 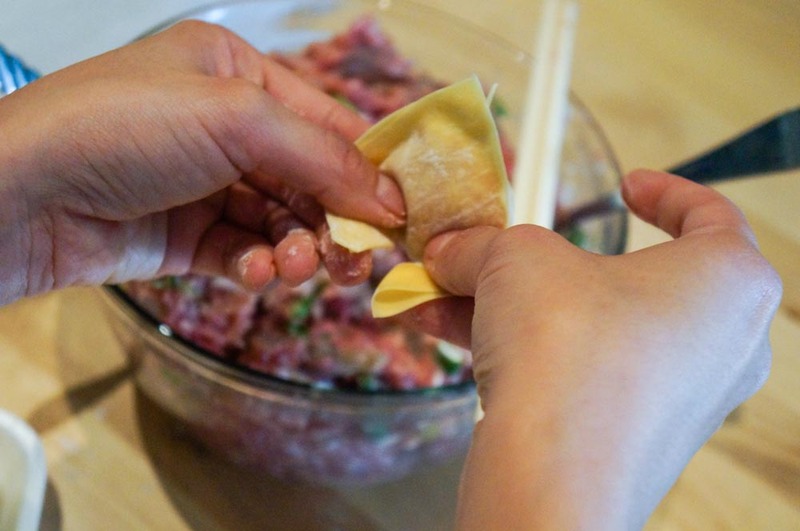 Make sure the wonton wrappers aren’t touching each other, otherwise they will stick together when cooking. Add the egg noodles to the broth and cook for 1 minute. Because they are fresh, they only need a quick rinse in the broth. 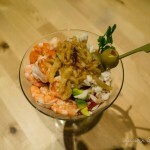 Divide amongst 4 soup bowls and add a dash of sesame oil to each of the bowls. 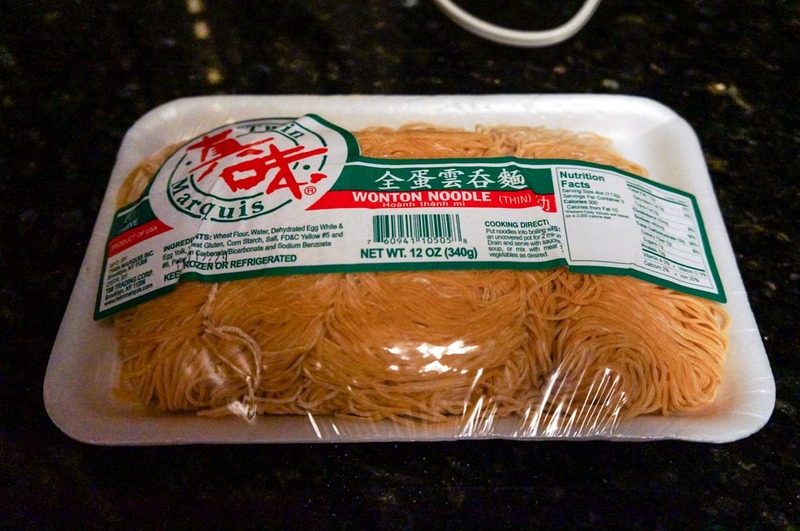 This will prevent noodles from sticking to one another. 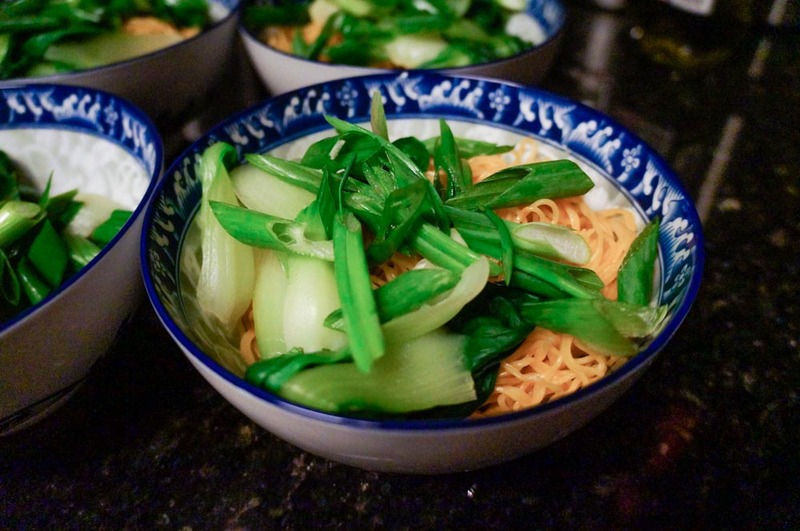 Cook the bok choy or vegetable of your choice in the same broth, approximately 5 minutes. Add to the soup bowls. In a medium size pot, bring 2 quarts of water to boil. 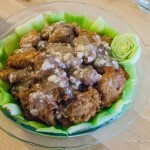 Drop the wontons in one by one and cook uncovered for 4-7 minutes, stirring gently. Remove from water and add wontons to soup bowl. The wontons are done when they float to the surface. I usually cook 8-10 wontons per person. Garnish with remaining 1/2 bunch of green onions, then ladle broth over noodles, veggies, and wontons. Serve immediately.